Even if a customer left your page, you still stay in touch with him. Message exchange between the agent and the customer happens immediately. Machine learning algorithm understands the structure of message request and assigns it to the right agent group. We have flexible infrastructure which makes it possible to do customization for our clients. Messages from all channels are collected into one unified inbox in our web interface. Your client data is stored securely with no volume and term limits. We offer real time analytics to assess the amount of message requests, analyze agent groups, channels and each agent. Your customers will really appreciate simplicity of the widget. 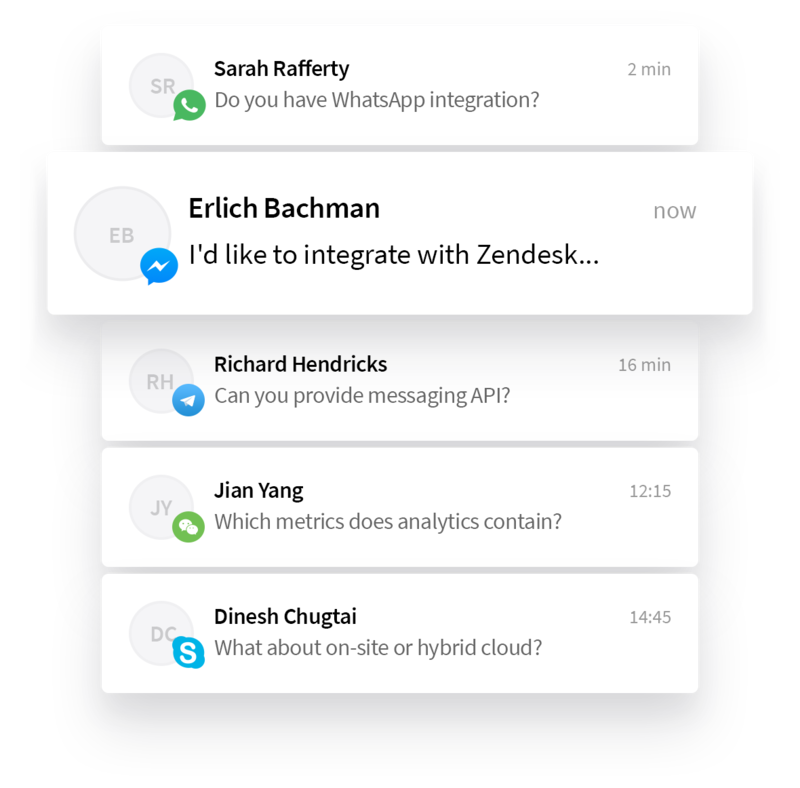 We designed a widget comprising all integrated messaging apps and social networks. FxPro was founded in 2006 and since then has grown exponentially and serves clients in more than 150 countries. Currently the company has offices in the UK, Cyprus, Dubai and the Bahamas. FxPro has always followed a client centric approach and placed their clients’ needs at the center of their operations. The company needed the best support to be able to help their clients 24/7. FxPro’s management met the opportunity of communication via messaging apps with great enthusiasm. After Blinger.io integration, their clients can contact the broker in messaging apps of choice regardless of the location and time zone. FxPro has fulfilled their motto to do everything like a pro, since Blinger.io has significantly improved their communication with clients. Alfa-Bank is a part of Alfa-Group, which is one of the largest financial industrial consortiums on the territory of CIS. Alfa-Bank supports people and companies in improvement of life, providing simple and convenient solutions. Alfa-bank used Zendesk, however 99.5% of text messages from clients went through online chat on the site and mobile app, while only 0.5% were organic messages in social networks. 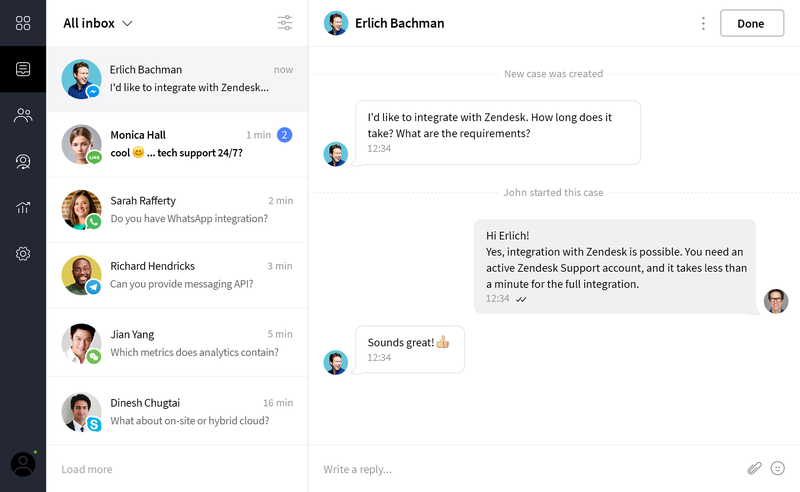 After Blinger.io integration, which took 1 day (integration with Zendesk and set up of 7 messaging apps), the agents managed to handle messages which came via messaging apps in the regular Zendesk window. In a month after Blinger.io integration 20% of messages went through messaging apps, in 6 months the rate bumped up to 50%. Ivi.ru was founded in 2010 and currently is the largest online cinema in Russia, which operates in the market of legal professional video content. Ivi.ru is the most innovative online cinema in the CIS. The company wanted to give their clients options not provided by their competitors. Ivi.ru services on average 100 messages per day. 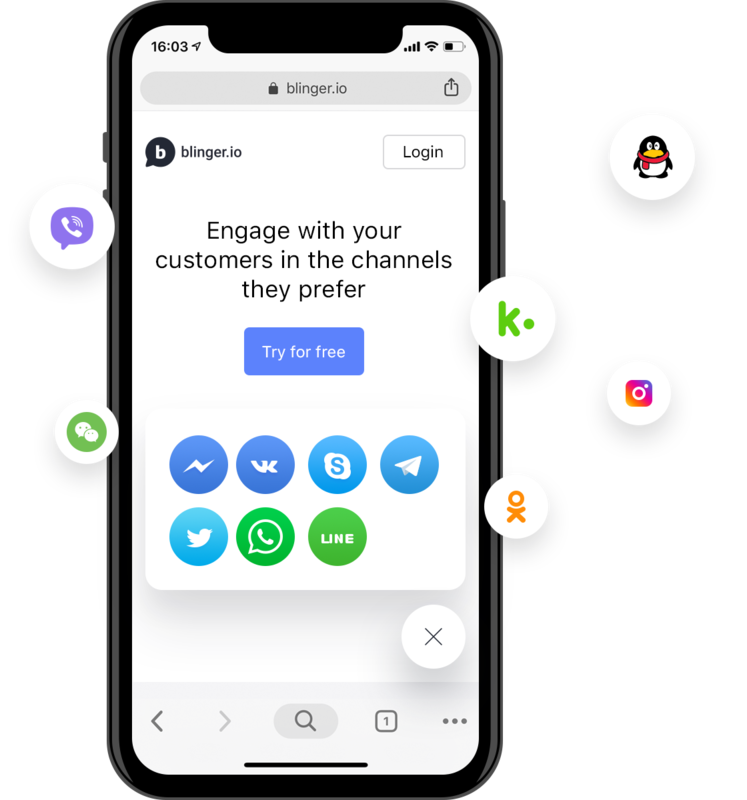 Since Blinger.io integration most of the message load was transferred to messaging apps, enabling the company to provide real time responses. The response waiting time has been lowered significantly, which improved Ivi.ru customer satisfaction. OneTwoTrip.com was founded in 2011 and since then has been helping their customers to book their own travel using smart technology. More than 2.5 million travelers use the website and mobile apps to make bookings. More than 50% of total companies messages are from the clients who were on vacation. OneTwoTrip had to react fast or real time. Blinger.io integration lowered the cost of contact for OneTwoTrip’s clients, who would now use WiFi almost anywhere for communicating via messaging apps. This positively affected client loyalty towards OneTwoTrip. KupiVIP Group is the largest eCommerce player in Russia. It’s the first online fashion outlet working in the CIS market. KupiVIP.ru is one of the most client oriented shops on the web. KupiVIP.ru receives more than 3000 client messages to be actioned. The company decided to test Blinger.io and assess potential improvements to their service the product can bring. As the result of Blinger.io integration, 50% of clients moved to messaging apps, this significantly increased customer loyalty. Not only can the clients ask questions online in real time now, but they can also get fast and reliable support 24/7. KupiVIP.ru knows what their clients are interested in and can solve service and stock availability problems fast. Belavia was founded in 1996. It’s is a modern, rapidly growing company that meets requirements of the latest innovations in air transport and is constantly focused on further development and improvement of the airline and attraction of greater number of passengers. Belavia didn’t have the expertise of handling support cases fast. They needed a solution, which would streamline the process and help reduce the time needed to handle a support case. 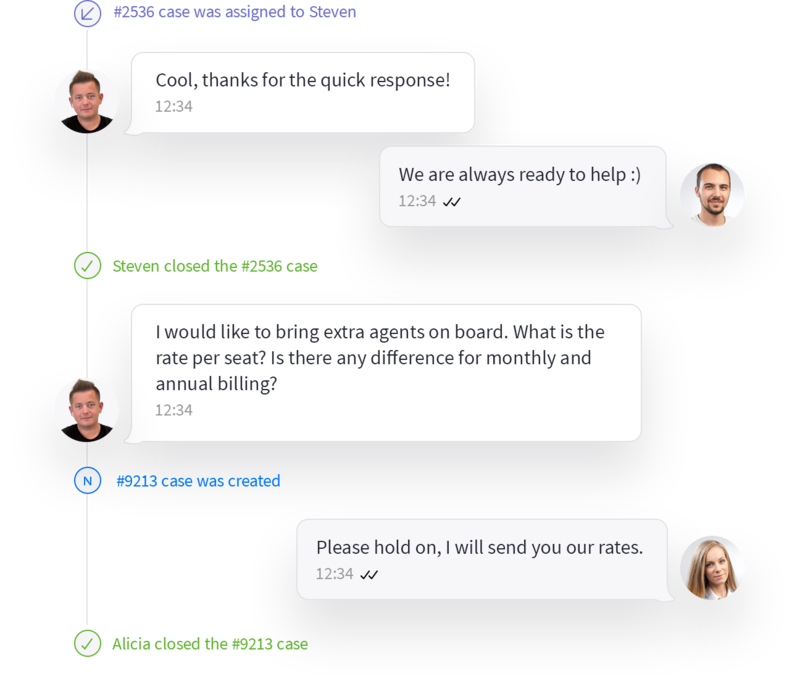 Whilst the number of requests received by the airline after Blinger.io integration didn’t decline, the customers moved to messaging apps and reduced the load on Belavia’s call center. Belavia stopped losing clients. Now instead of having to make calls to the airline from abroad, the customer can simply reach them via any integrated messaging app. Belavia is the first airline in the world to start customer support via messaging apps.